Fall is such a fun time. Tucking in Your Garden can be adventurous for your kids just as much as you. 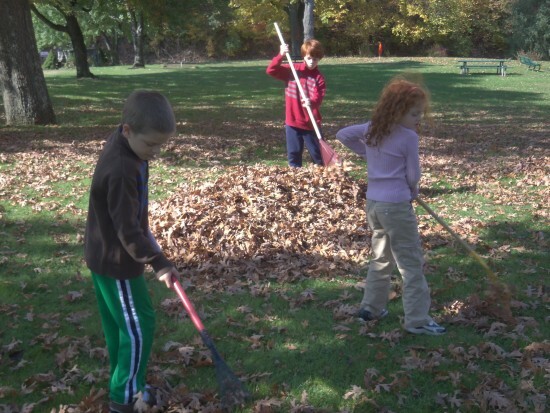 My kids are so excited when the first few leaves fall…and yes, they will go get leaves from neighboring properties just to have the most perfect massive leaf pile. I’m not a year-round garden kind of person, though I may get there one day. 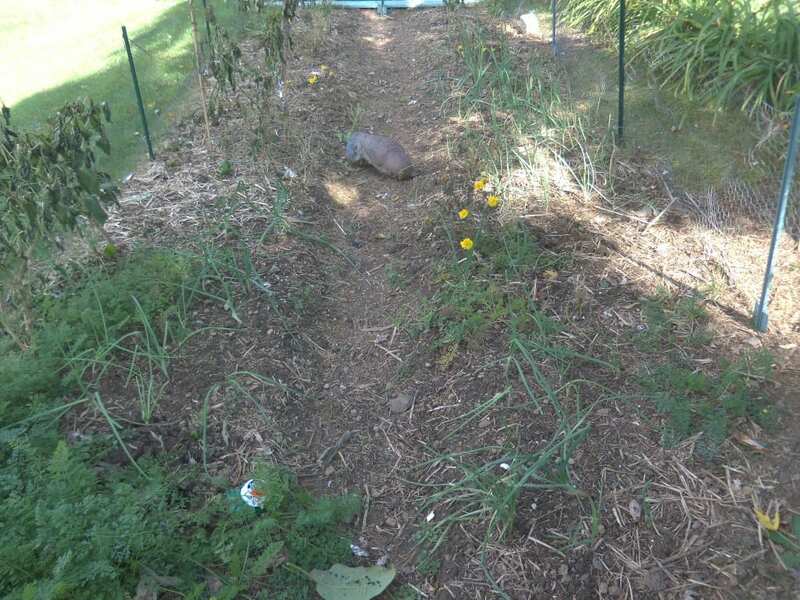 If I had more space, I would plant more garlic, winter wheat or rye, and other Fall and early spring varieties. 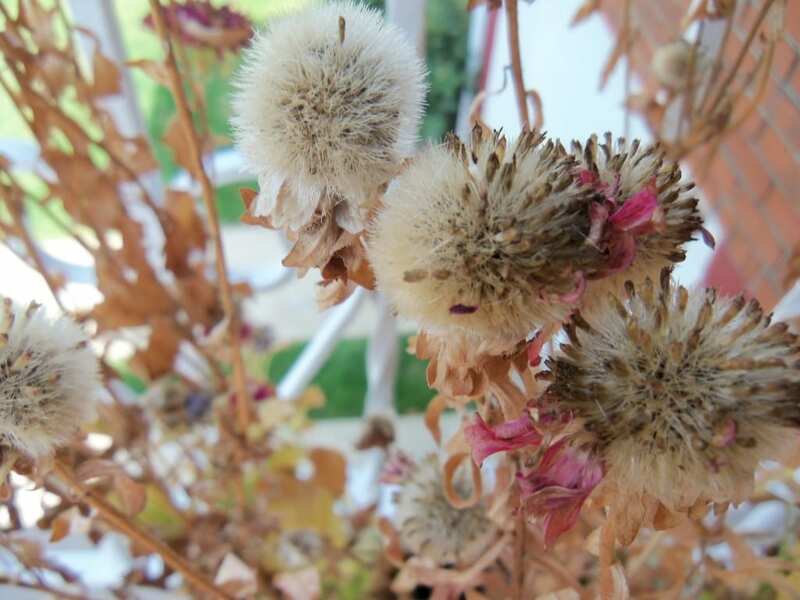 Until then, there’s something about the pretty finish to a garden that is prepared for the winter. Make sure the beds are well weeded. This will give you a head start on weeding in the Spring. 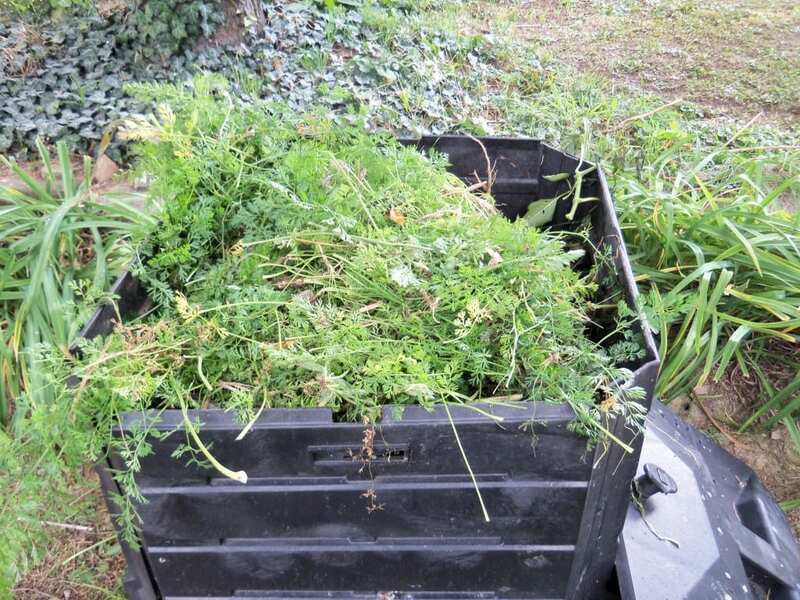 Pull out and put to compost any finished plants. You can chop up plants and spread them over your beds, or put them in your compost pile that will be spread over your bed in the Spring. 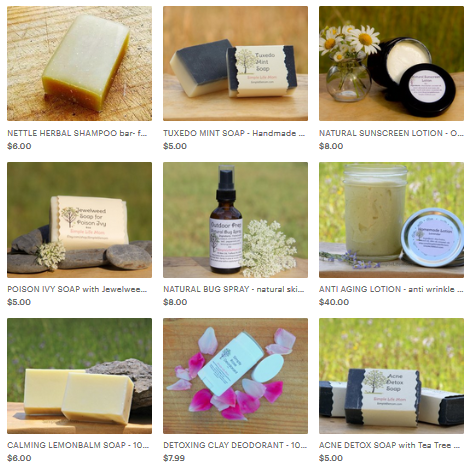 Loosen the dirt. Don’t turn it over because you don’t want to destroy all your lovely worm tunnels. Your dirt will be more compacted after the winter, but loosening gently now will help keep worms happy. Test the soil. If you test you soil now, you have lots of time to get it changed before Spring. Rock powders that will maintain nutrient levels and fix acidity levels work much better if they have longer to work in the soil. In the Fall, you also have a lot of warmer days than you would in the early Spring. This means more biological activity. If you test when your soil is too cold, you may get a false reading because nutrients are locked into the soil. Apply a thick layer of organic mulch. I buy straw that I use for an Autumn decoration. After a few weeks, when I am ready to tuck in the garden, I take at least half of it and spread it generously over the beds. Some people believe leaves will give better worm activity. 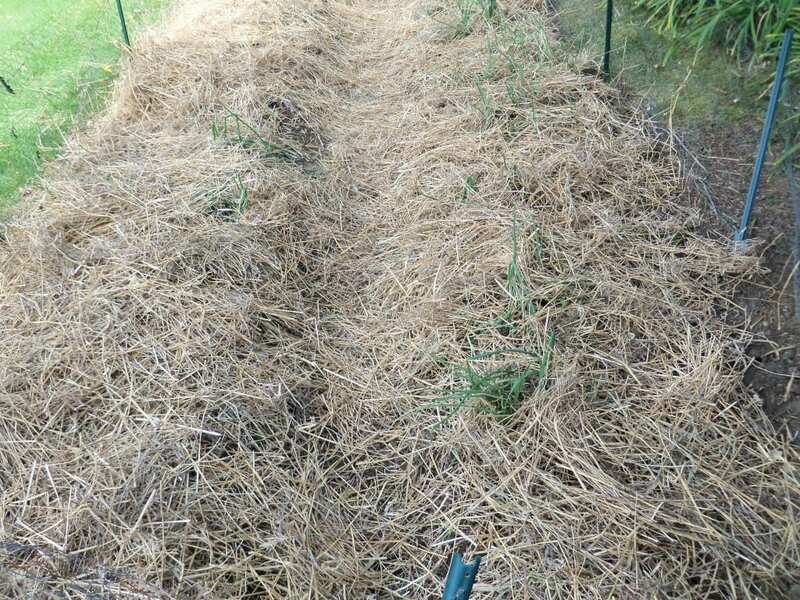 You can use a combination of leaves and straw to make sure the leaves do not become compacted. You want insulation, but not compaction so that there is more decomposition. You can also sow a cover crop like winter rye. Just mow it down in the spring. If carrots are mulched well, they can be left if your winters are not too harsh and you’ve mulched well. Then you can have fresh carrots all winter. I saved my seeds from last year. I was wondering why the carrots seemed so long, even so late into the season. 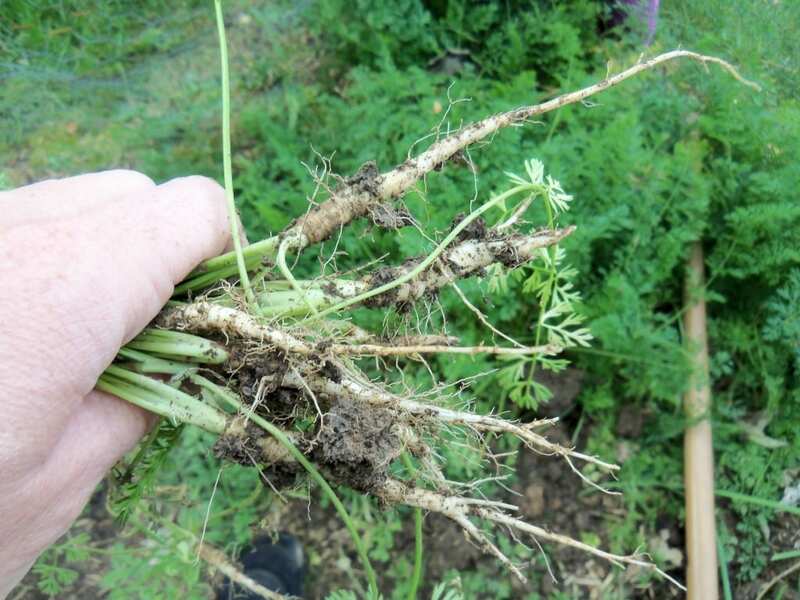 The problem was that there is a ton of wild carrots growing around where I live and the plant that I got the seeds from was cross-pollinated with wild carrots. While the roots were larger than some wild carrots, they were not great. My kids ate some, and I put the rest in the compost….oh well. My compost bin is overflowing, but there is tons of great dirt down in there. In the next few days I will have the kids help me turn it over. With the dirt below, the green on top, I will add some straw and it should be black gold by Spring. Greens (live), dirt, and browns (dead) makes great compost!! Finally, any seeds I have not yet collected will be put in little baggies for spring or indoor winter planting.